I was living the American dream- successful, a beautiful family, house in the suburbs, room for my four children to roam and explore the world around them. My home was filled with unconditional love for all my children and a watchful eye to keep them safe. Roya was my second child, as a baby she’d sing in her crib. It was easy to parent Roya. She was exceptional and excelled in every area of interest. She brought home straight A’s, her teachers sang her praise; she could hear a piece of music and replicate it on the piano. What’s more outstanding is that she was a fantastic daughter to me and sister to her siblings. Roya finished college and worked successfully in medical sales for a local company. Although she enjoyed her career, I knew what she wanted most of all was to be a wife and mother. What I loved about my daughter was that she genuinely cared about people. Roya was a champion for causes close to her heart, most involved doing good for others. She participated in church mission trips as well as defended and assisted vulnerable populations that needed help. On November 24th, 2004, my beloved daughter Roya decided to spend Thanksgiving Day with her fiancé’s family. As the couple traveled through Michigan City, Indiana, snow accumulated making the roadway slippery. My daughter was the passenger of a vehicle equipped with every safety option available at the time. 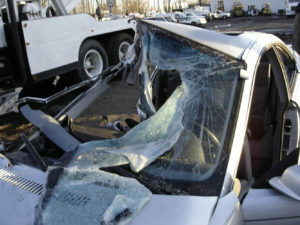 Her fiancé was driving the late model BMW slowly when their car began to slide under the side of a semi tractor-trailer. The truck driver said he felt “just a bump” as he dragged their car while the rear wheels of the trailer crushed my child. A physician and many others stopped to help- her internal injuries were catastrophic- she did not survive the ambulance ride to the hospital. I will always be grateful to those humanitarians who tried to save my daughter. Around 8 pm that evening, I received a call from an emergency room physician who was working at St. Anthony’s Hospital; it was the closest hospital to Roya’s crash. He told me my daughter was in an accident- my initial thoughts were that she had some injuries and would be okay. I was bracing myself and listening carefully to see what happened. Abruptly, the doctor told me that she did not survive the crash- I hung-up the phone on him- several times. I could not process what I was being told. My father drove the three-hour journey to the hospital. It was over 180 exaggerated minutes of sheer devastation, trauma, tears, and silence. No one in the car uttered a word- we could not speak. 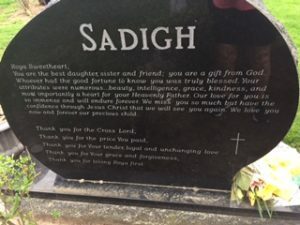 My 13 year-old daughter Sarah sobbed; she adored and looked up to her older sister. We all loved Roya so much; she was precious and treasured by our family, friends and coworkers. As any parent can attest, words can never express the profound loss of a beloved child. The years that followed the loss of Roya have been very difficult. Prior to her crash, I had no idea what truck underride meant. 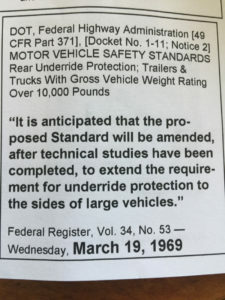 I did not know that in the 1969 Federal Register recorded that the Department of Transportation intended, after further study, to extend underride protection to the sides of large trucks. 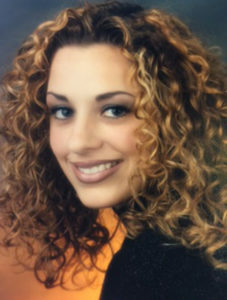 Can you imagine – before Roya, my precious daughter was born, trucking companies, trailer manufacturers and the federal government knew that side guards would save lives! Roya is missed dearly . . . her life was cut short because of a failure to act on preventable tragedies! Marianne Karth who lost two precious daughters and I drafted legislation to eliminate deaths as the result of truck underride. The RAMCUP Act of 2017 is a comprehensive underride package that highlights and includes protection on all sides of the truck with retrofit kits for existing trucks, single unit trucks, enforcement for maintenance and guard repairs. Senator Gillibrand reached out to Marianne Karth and myself in July 2017 because she wanted to work with us to introduce a comprehensive Underride Bill that would save countless lives. Like every other state in this country, New York has experienced numerous truck Underride fatalities. So, her legislative staff has been facilitating and fine-tuning the structure and language included in our bill. We also changed the name of this important legislation from the RAMCUP ACT to the STOP UNDERRIDES ACT. Like so many other victims of Underride crashes, I will never see my beloved daughter as a mother, wife or to to live out her full potential. Marianne and Jerry Karth will never again realize the joy that their beautiful daughters, AnnaLeah and Mary brought to their lives. However, we know that truck Underride is survivable if there is protection around the truck to prevent cars from going under. That’s what this bill is all about – saving our sons, daughters and loved ones from the violent and preventable Underride tragedy!